Cameras Downunder Gallery - Australian Cameras/Aussie Micro 110 camera. 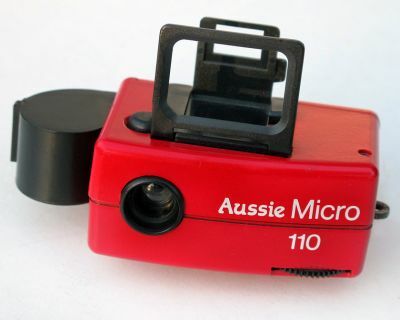 Red Aussie Micro 110 camera. Camera takes 110 cartridge film. the back of the camera is the film cartridge. folding view-finder, all plastic.